Just fax us your sketch and we will have a quote to you in hours! We use the latest digital technology that can precisely measure your job to within 1/16" of an inch! Our digital templates are fed directly into computer numerically controlled equipment that are the most precise and producxtive inthe industry! Our employees can tackle the most demanding jobs. Our highly accurate productionprocess allows for a pefect fit everytime! 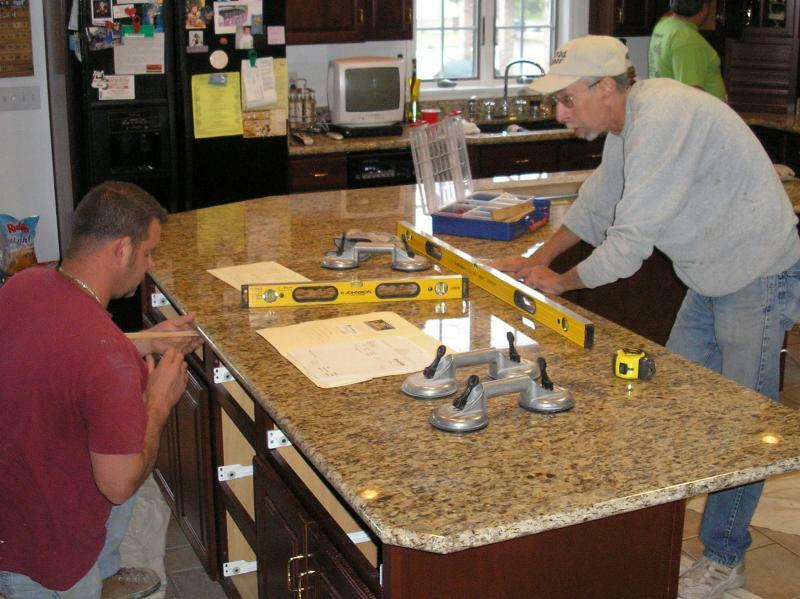 Our selection of granite includes the most popular colors . Don't confuse your customer with hudreds of colors to chose from. This is time consuming and expensive. Partial Slabs ? -- No Problem! When buying whole slabs there is typically 30% waste. Our large inventory of our selected colors means that any partial slabs will be utilized on another job. Mistakes are virtually eliminated reducing your costs. Copyright 2013 Capitol Granite Company. All rights reserved.